Hill Climb Racing 2 is one of the most adored games of smartphones. It is equally famous for iOS devices as well as Android devices. The theme of the game revolves around driving vehicles at different terrains. There is a number of vehicles you can select and you can drive on a variety of maps. Now you can also download and play Hill Climb Racing 2 on PC Windows 10 or prior using the guide below. In the guide below, I will guide you on how to use Android simulator to run and download Hill Climb racing 2 on Windows 10 PC. 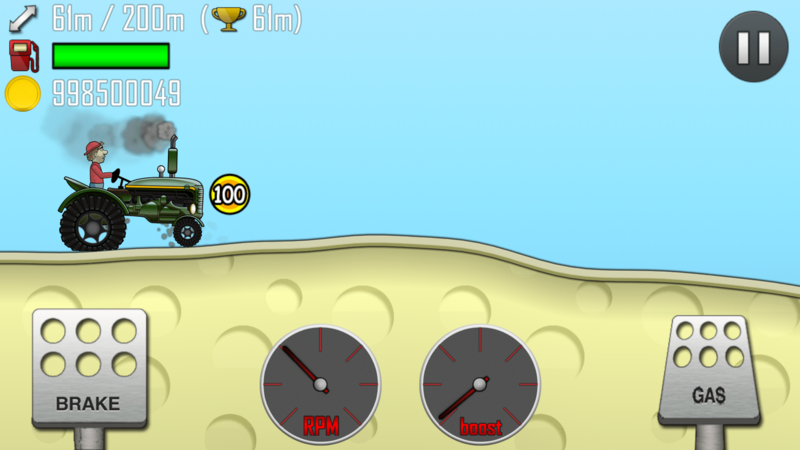 Hill climb racing 2 is an addicting racing arcade game. You have to drive your vehicle through different terrains. You collect coins in the process. As you move forward in the game you unlock new maps along with new vehicles. You can upgrade your vehicle, increase its speed, brakes, and suspension from the coins that you collect during the games. You get rewarded by points for the maneuvers you perform while driving. Upgrading the vehicle parts allows you to have better control of your vehicle and travel more distance in less time. You also have to make sure you don’t run out of petrol as petrol starts depleting with time and you have to get the petrol tanks on your way. This game has been around for years. It is still popular among users. The developers have not left the support development of Hill Climb Racing 2. They still release updates for the games once in a while. They introduce new vehicles along with new maps and upgrades. Although, for the devices running on Android or iOS. You can download and install Hill Climb Racing 2 directly from their respective app stores. If you can not access Google play store for some reason, as many phones running on Chinese firmware do not have access to Google play store and services, then you can download Hill Climb Racing APK file from below to run it on your phone. Before moving forward, you will have to take care of some prerequisites. You might even have to download some files. For example, you will have to download Hill Climb Racing 2 APK file on Windows PC. You will need an Android emulator to run an Android App on your PC. The software that I am using to run Android on PC is BlueStacks. You can use any other emulator as well which can do the same job. Hill Climb Racing 2 APK. Once you have downloaded APK file and BlueStacks emulator on your Windows PC. Now it is the time to install Hill Climb Racing 2 on PC Windows 10 or prior. The process is pretty simple and it is explained in detail below. Now locate the APK file on your PC which you downloaded from the above link. Open the APK file using Bluestacks player, It will get installed in your PC. After installation, it will be present in the app drawer of the Bluestacks player. Note: You can also download Hill Climb Racing 2 from Google play store using Bluestacks player on your Computer. That’s all from my side. If you have any questions regarding how to install or download Hill Climb Racing 2 on PC running on Windows 10 or prior. You can ask in the comments. Also, if you are confused about the guide above and need some help regarding it. Don’t be reluctant to ask.